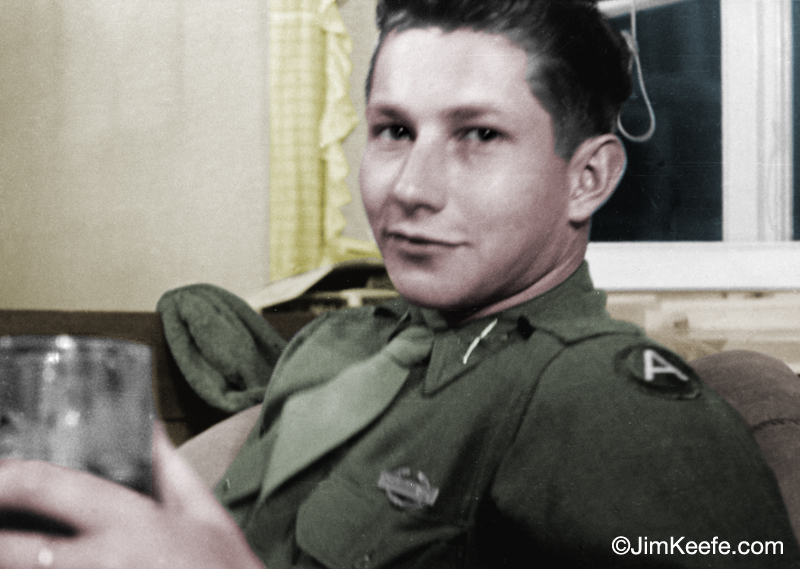 After the end of World War II my Dad was stationed in Germany until the fall of 1946 and eventually served as the Headquarters Company Commander, 1st Division, 3rd Battalion, 26th Infantry. 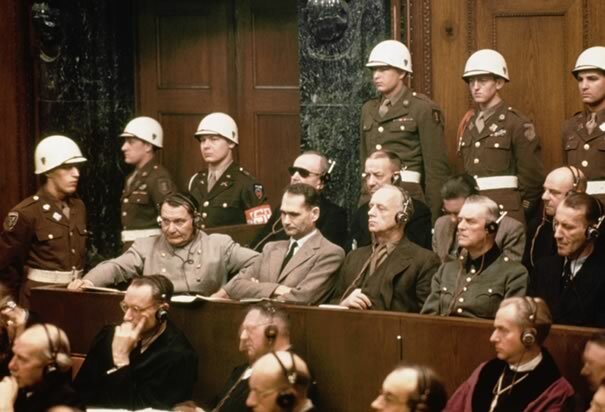 A point of distinction was that this put him in command for a time of the motor pool for the International Military Tribunal at the Nuremberg Trials. Here’s an excerpt from a letter home to his sister Pat from April 1946. I think I told you I am now commanding officer of the Court House Motor Pool. I have so much property it isn’t funny. I am signed for over 200 vehicles. Everything from 4 ton wreckers worth $20,000 to Packards, Buicks, Fords, Jeeps, 2 1/2 ton trucks, 100 civilian box’s making over 300 vehicles. I’m waiting for me to mess things up and then it will be a toss up to see if Goering or I get hung 1st. Sunday I went through the prison. All information about it is so secret so I will stop here. It was very interesting and after it is all over I’ll tell you about it. No press men or correspondents can get near the Place. We are very short of officers in the Battalion now and are kept very busy. I’ll close now as Johnson just came in from the Grand Hotel and is talking to me so I can’t concentrate. The folowing are picture found on the internet of Nurenburg circa 1946. Note: Pictures are linked to their source when called for. 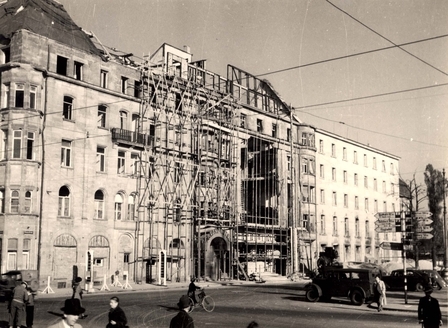 Grand Hotel – Nuremberg, Germany, 1945-1946. The Palace of Justice on Fürther Strasse – East wing. 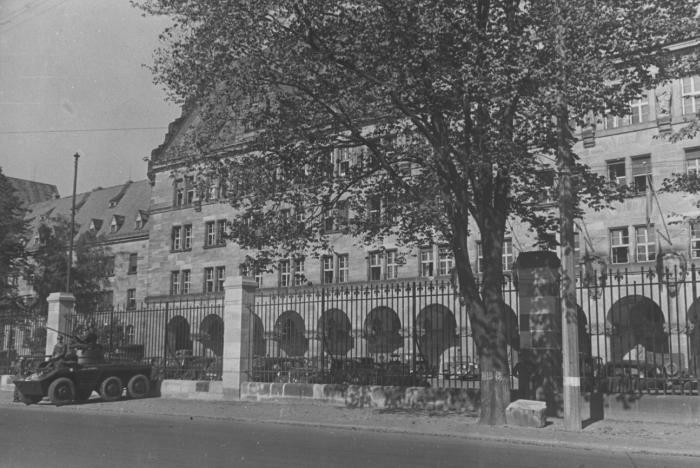 The Palace of Justice in Nuremberg on the day the judgement of the International Military Tribunal was handed down. 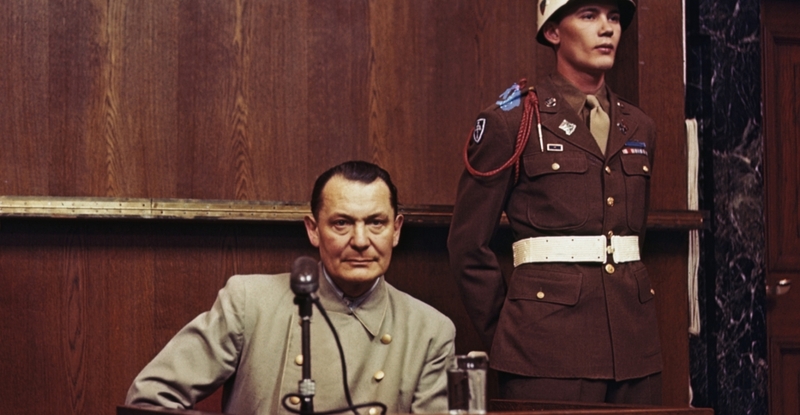 Nuremberg, Germany, October 1, 1946. The following are videos that were taken about a year earlier than the timeframe my Dad served in the 1st Division. 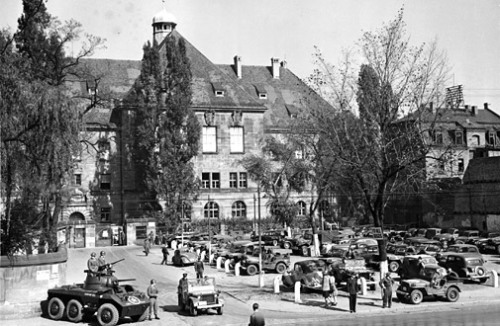 As Nuremberg was considered the ceremonial birthplace of the Nazi Party, hosting the Party’s annual propaganda rallies, it was considered a fitting place to hold the war trials and mark the Party’s symbolic demise. This entry was posted in Company I and tagged Company I. Bookmark the permalink.